Did you know that an estimated 25% of people over 65 have lost all of their teeth? Since teeth are hard to come by, it’s well worth it to protect the ones you’ve got! Preventive efforts normally focus on regular checkups and good oral hygiene habits, which are the foundation of a healthy smile. 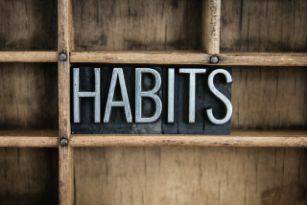 But your everyday habits also have a big impact. Keep reading to learn about 5 habits that affect your oral health in surprising ways, and take an important step towards keeping all your teeth for life! If you play contact sports or participate in recreational activities like mountain biking, it’s strongly recommended to wear a custom-made mouthguard. Not only do these appliances protect your teeth from being knocked-out or otherwise damaged, but they also reduce the risk of head and neck injuries like concussions. Saliva does several important things for your oral health. First, it washes away plaque, bacteria, and food debris to naturally cleanse your mouth throughout the day. Second, it neutralizes acids in your mouth that cause cavities. Be very careful with sugar consumption! When combined with dry mouth, frequently consuming sugary beverages or anything sweet is almost guaranteed to cause extensive cavities that require major dental work to repair. Chewing on ice is a common, often unconscious habit that can seem harmless, but can easily cause cracks, or chips and breaks. A great way to stop is to find a substitute such as sugar-free gum, baby carrots, or celery. Most people are aware that sugary beverages like soda and juice put them at high risk for cavities. But acid is just as harmful! Just like acid rain wears away at marble or stone over time, acidic drinks wear away at your teeth. Also, if you do occasionally drink any of these beverages, swish with plain water afterwards or chew some sugar-free gum. But be sure to wait at least 20 minutes before brushing because your enamel is more susceptible to being worn away. Clenching and grinding is incredibly common and puts a huge amount of force on your teeth that can cause sensitivity as well as cracks or fractures. Although you can’t always stop the clenching and grinding itself, you can protect your teeth from damage with a custom-made nightguard from a dentist. It’s so much easier to prevent problems rather than spending time and money in the dental chair. By avoiding these 5 habits, you’ll be well on your way to outstanding oral health for life! Dr. Matthew Nawrocki is a family dentist and a graduate of the University of Florida College of Dentistry. In addition to providing outstanding dental care to patients of all ages, he educates people on the impact their daily habits have on their oral health to help them prevent problems rather than treating them. If you have any questions about your oral health, he can be reached via his website.